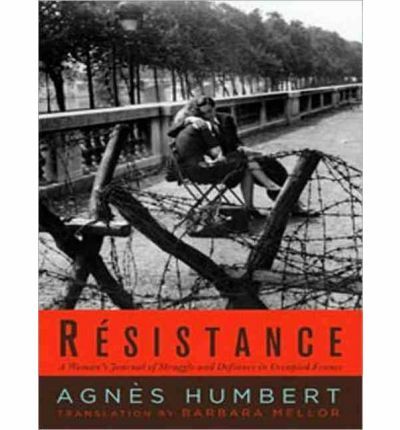 Agnes Humbert was an art historian in Paris during the German occupation in 1940. Though she might well have weathered the oppressive regime, Humbert was stirred to action by the atrocities she witnessed. In an act of astonishing bravery, she joined forces with several colleagues to form an organized resistance-very likely the first such group to fight back against the occupation. (In fact, their newsletter, Resistance, gave the French Resistance its name. )In the throes of their struggle for freedom, the members of Humbert's group were betrayed to the Gestapo; Humbert herself was imprisoned. In immediate, electrifying detail, Humbert describes her time in prison; her deportation to Germany, where for more than two years she endured a string of brutal labor camps; and the horror of discovering that seven of her friends were executed by a firing squad. But through the direst of conditions and ill health in the labor camps, Humbert retains hope for herself, for her friends, and for humanity.Originally published in France in 1946, the book was soon forgotten and is now translated into English for the first time. Resistance is more than a firsthand account of wartime France; it is the work of a brave, witty, and forceful woman, a true believer who refused to go quietly. About the Author: Emmanuel Breon is curator at the Musee des Annees 30 in Boulogne-Billancourt, France, and the author of a number of works on art and decorative arts from the period between the great wars including "Jacques-Emile Ruhlmann: The Designer's Archives" (Flammarion, 2004).Bean has had careers as a television news producer, writer, actor, and voice talent. She has a B.A. in Telecommunications from Michigan State University.